There is a certain beauty in the way she sits. Calm, composed, completely immersed in her book. 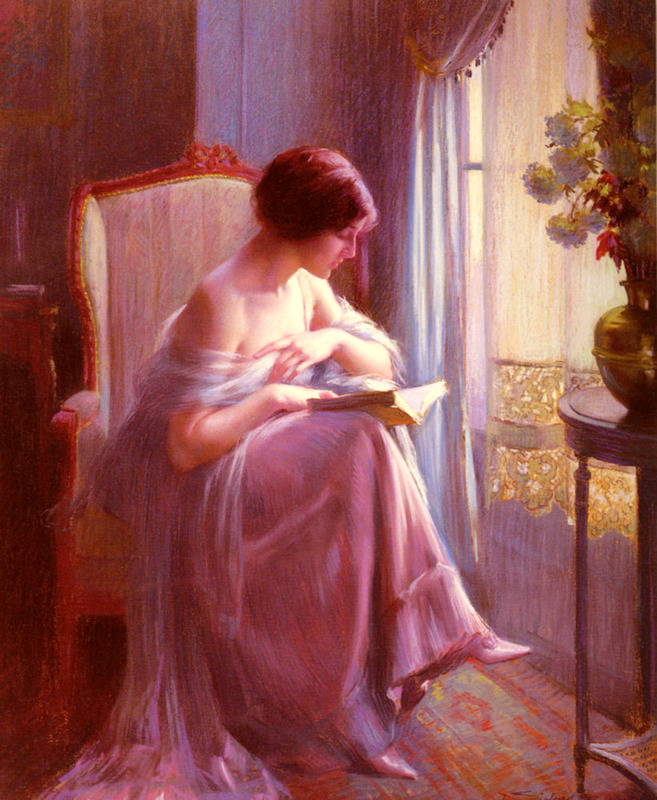 Although I cannot see the title, I see her, and I imagine she is reading a wondrous tale. One hand rests on her lap as the other delicately pushes a strand of dark hair behind her ear. She reads with an intensity I cannot put in words…eyes gliding, pages turning. I imagine she performs everything with the same intensity, from watching a movie to waiting on the sidewalk for a bus. Eyes reveal stories that we cannot read unless we look close enough. I go home, satisfied that I have seen through a window. Content, for I have read another’s story.